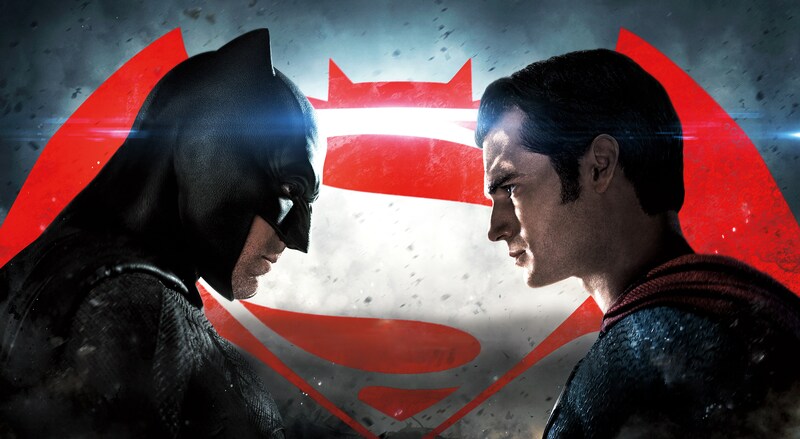 The new "Batman v. Superman" lets fans down despite its' graphic appeal. Fans find the storyline to be bland and overdone. Warner Bros. newest installment into the DC Cinematic Universe, “Batman vs. Superman: Dawn of Justice” (directed by Zach Snyder), has broken and set records with a $116 million opening weekend. Yet, between Friday to Sunday of that opening, the film dropped down 55 percent to a “rotten” level of 29 percent on Rotten Tomatoes in approval ratings (beating the 48 percent drop “Fantastic 4” suffered last summer). Those statistics are pretty confusing from an objective standpoint, but if you look at the very divided viewpoints on this film, it makes sense. With CG monsters, crazy billionaires and superheroes running around, it’s understandable that the world is a little crazy. I think that it’s not the faces in front of the camera, but rather those behind it that are responsible for this tragedy. Snyder is a director whose films seem to rely more on all of its other aspects besides his actual directing. Every movie of his I’ve seen has been sitting on solid ground, from a direction standpoint, but is unwilling to take risks or make that push to really impress. David S. Goyer and Chris Terrio didn’t help him when they wrote this script. It’s extremely ambitious and quite disconnected, with almost every scene up until the final act feeling as if they could just be rearranged. It’s not surprising to me, though, since Goyer is a very selfish writer and tends to write for himself and less for the audience. Next, many found the run time to be overzealous and dragged out (myself not included). Of course, setting up an entire universe in one film is a lot to take on, but it might’ve been a better decision to truly focus on the two headlining characters more and save that exposition for later. Superman is often looked over as just a catch-all, over-powered boy scout. This film tried too hard to change that and made no progress from “Man of Steel.” Henry Cavill’s acting holds up, but his character just isn’t written well enough for him. In the middle of most arguments, you have Eisenberg’s Lex Luthor, who wasn’t what many imagined when they heard that the iconic villain would play a role. However, he delivered a role similar to that of Kylo Ren of “The Force Awakens” in both performance and how he was received. He’s the son of a successful business mogul and, dealing with an inferiority complex, is trying to make his own mark and become the best. That journey to a false hope is blocked by the Man of Steel. He’s not only threatened by Superman’s strength & abilities, but his popularity as a hero of the people — a proletariat icon. With the addition of the deleted footage from Warner Bros.’ official YouTube channel (a clip named “Communion”), Lex’s descent into madness is better explained and more exposition for Justice League is placed (this exposition is warranted, too). On the positive side, Ben Affleck and Gal Gadot stunned with their portrayals of Batman and Wonder Woman. Many people called into question WW’s portrayal as being too “frail” and “dainty,” and her costume only fueled the discussion even more when it was revealed. Yet, on screen, Gadot delivered everything I could expect from Wonder Woman in her limited role. Affleck stole the show as a grizzled, aged and scarred Bruce Wayne who’s gone through too much to let “the Superman” live as a threat. Plus, that Robin suit that we saw in the trailer isn’t touched on beyond its one shot. That suit and its connotations I’m sure has led to Batman’s new views and ideals when it comes to fighting criminals. There’s a well layered and cryptic character in Affleck’s performance that I can’t wait to see further explored. The film looked stunning, having very few frames I wouldn’t buy a print of. Most of the new characters were well introduced and left me waiting for more, and the moments that worked, worked well. Unfortunately, it was held down by it’s discombobulated plot, the lack of context for several scenes, the misuse of popular story lines and their events, under-utilized villains like Doomsday and the fact that it’s unclear whether to like Superman after two films.